Transmitting and receiving antennas have different jobs to do. 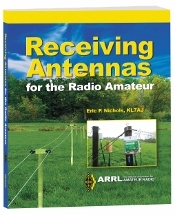 Receiving Antennas for the Radio Amateur. Kindle Edition.